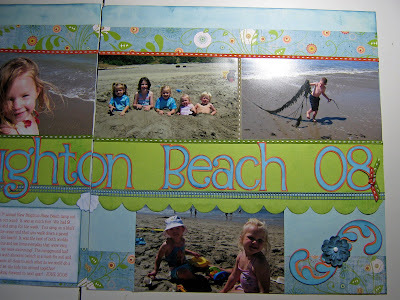 I found out that my favorite scrapbooking store The Green Tangerine is looking for designers for their store (hello! DREAM JOB!). In order to be considered you had to submit a double layout and then they will narrow it down to the top 50 and then customers will vote on their favorites. 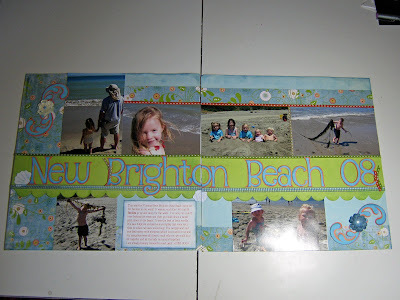 So I submitted my latest layout from our vacation to New Brighton Beach. Thanks for stopping by and enjoy your summer vacation! 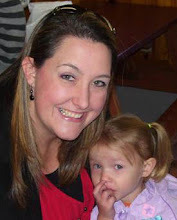 Jenny, your LO is so stinking adorable!!! I hope you don't mind if I scrapjack this one. Green T would be silly not to pick you as a designer! You would be a great asset!! 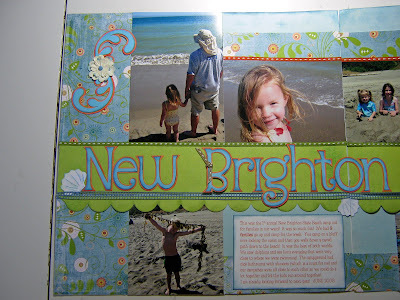 Love the layout Jenny! Those pics are GREAT! Love the flourishes. I agree, GT would be silly not to pick you!!!! Best of luck!!!! !